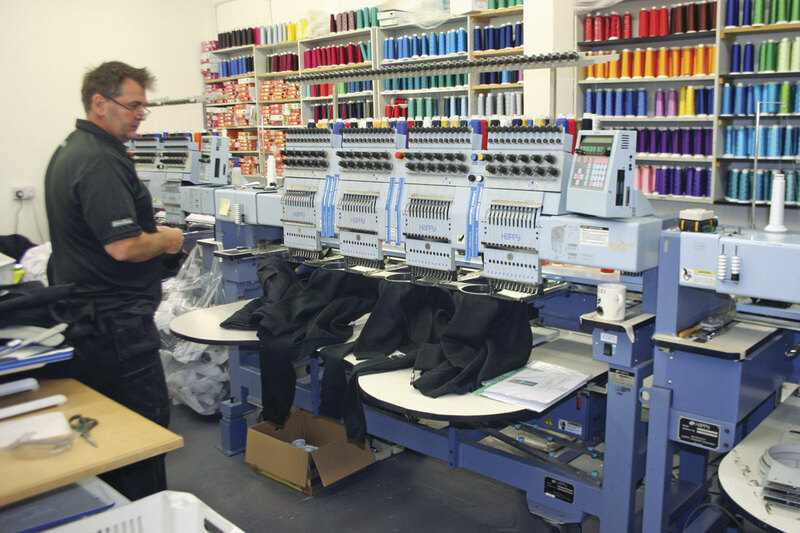 Big developments are happening at Banbury, Oxfordshire based Uniform Express Ltd, which is on a path towards increasing its share of the bus and coach uniform market. 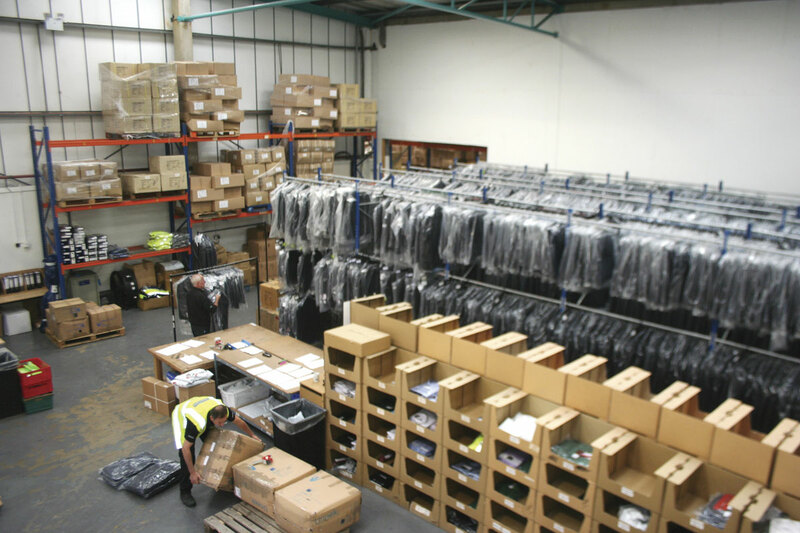 One of its latest expansions is the acquisition of another uniform supply company, The Work Clothing Group, which has expanded its own range and customer base (more on this later). Chris Peat met up with Senior Business Development Manager, Ian Fountain and the business’s MD, David McPherson, to find out more about this growing player in the uniform market. Many may know Ian from his days with another well known corporate clothing supplier, Allen and Douglas. He joined Uniform Express in 2010 and since then, the company has dramatically increased the amount of trade it does into the transport sector. Before Ian, 80% of the company’s business was to the security industry. Now though, with the transport side increasing so much due to Ian’s existing strong contact base in the sector, it is more like 55% to 60%. It has over 900 transport related contacts being affiliated with the CPT, further strengthening its bonds with the industry. Uniform Express is a medium sized business in the corporate wear, according to Ian. Its turnover is around £5.5m and this is hoped to increase to £7m next year. He said the company is financially stable, turning its profit back into stock. In terms of its price range, he describes it as being competitive. 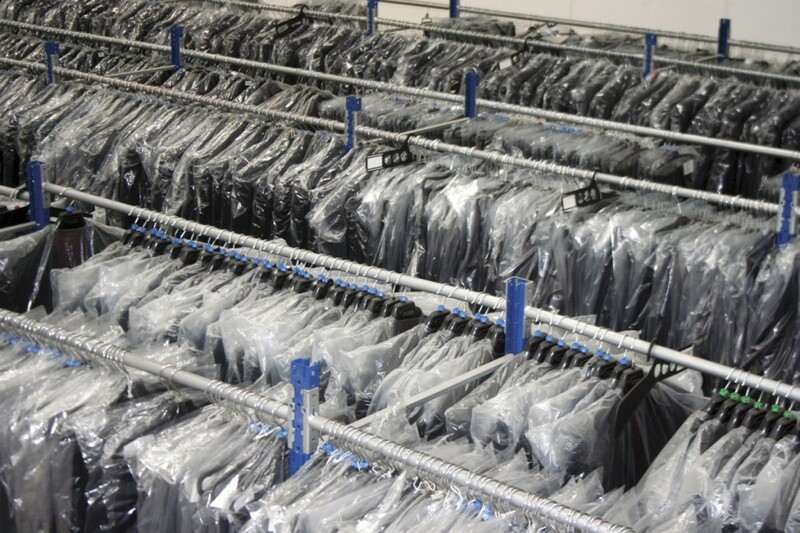 It can supply a variety of work clothing, from hi-vis’ jackets, polo shirts, fleeces, blazers, ties, footwear, shirts, anoraks and trousers to name a few. This includes off the shelf and bespoke offerings. A recent major success in the transport sector was with Reading Buses. The renowned municipal operator chose the business to design and role out a new, revitalised uniform for its drivers. Working with the customer’s bosses and Marketing and Brand Manager, Nikki Ball, the company developed the uniform based on driver feedback concerning the previous one. 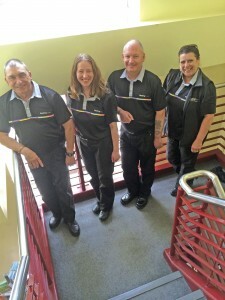 A wearer trial was carried out in May this year, with the uniforms revealed in May at the ALBUM conference in Edinburgh. The process is now underway to deliver all of the clothes. In fact, the day before meeting me Ian was on a head to toe measuring mission at Reading, trying to get through almost 400 drivers. Reading Buses new uniform consists of a black polo shirt and similarly coloured cargo trousers or skirt. The shirt is made from 100% polyester ‘wicking’ fabric, which draws moisture away from the body. It has a multi-coloured horizontal line across the chest along with the Reading Bus logo, adding a dash of colour and branding. The trousers, available for males and females, have lots of pockets, a requirement listed by drivers when they were asked for their feedback on uniforms. They are all machine washable. Several accessories are also available to drivers, including a rucksack, beanie hat/baseball cap, a lanyard, a jumper, a briefcase, a high vis’ jacket and a scarf. A choice of an anorak or light weight jacket are part of the uniform too. 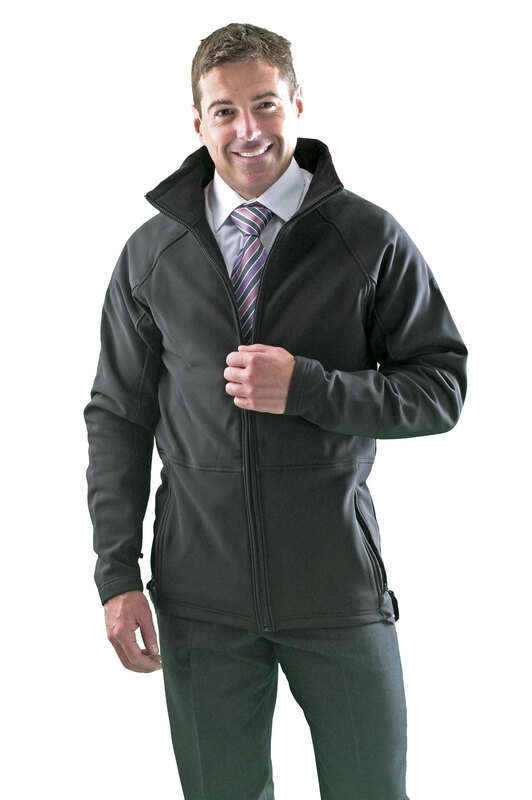 Another part of Reading’s uniform and an item proving popular in the bus and coach industry recently, is a long sleeved soft shell jacket. It is becoming a more popular choice than a fleece for driver uniforms, with the latter tending to go ‘bobbly’ when washed. Again, the Reading version is black with the operator’s branding subtly placed on the chest, but other colours are available. It is made from a water resistant material, which although does not make it fully water proof, it does help wearers keep dry during light rain and showers. These are proving popular with operators, with one Midlands based independent recently specifying them for its drivers. Alternatively, a gilet (body warmer style jacket) sleeveless soft shell is also available. Reading’s order is a good indication of trends in what operators are going for in terms of staff uniforms. 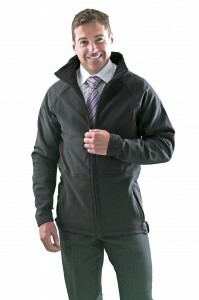 This is particularly the case for soft shell jackets, which are selling well. Ian said many are opting out of the traditional blazer, with drivers saying they can be restrictive when driving. Fashion in the industry has moved away from the ‘epaulette and tie image’, according to Ian. Behind this shift in style is a change in the type of work his customer base is involved in. Before, clients were reliant on the holiday and leisure business, but more contracts are now being taken for local bus routes and contract work. Because of this, a ‘more feasible allocation of uniforms’ has come about, with the polo shirt being more readily specified. Polo shirts are often provided for office staff too. However, in a departure from this, one coach operator asked Ian to supply the heavier weight pilot shirt for its drivers. 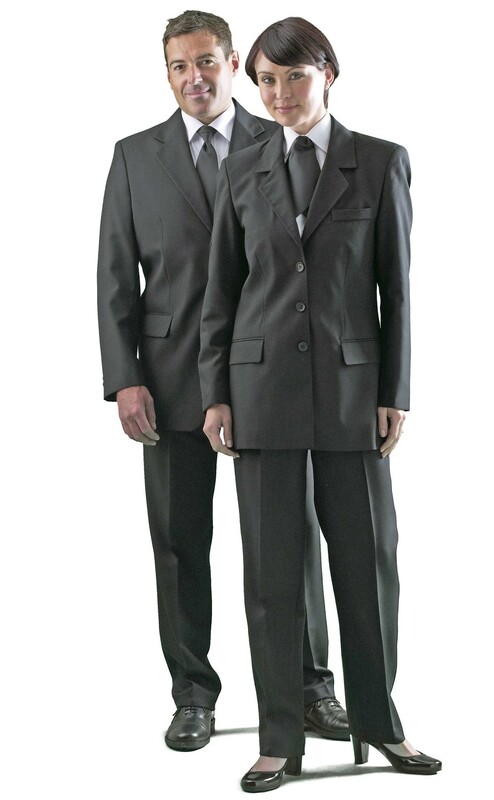 Available in a winter or summer variant, the garment is often provided to its high end security clients too. Shirts are often asked for in polyester cotton, which is easier to wash and iron. Lighter weight cargo trousers are becoming increasingly popular, as exemplified by Reading. Elasticated waists are being requested with these, considering many wearers do a lot of bending and stretching in their day to day activities. In terms of general colour throughout the uniform, customers are sticking to navy blues and blacks. It is often the case operators will not just go for a single design, with some choosing variations on the uniform to denote drivers allocated to different routes. For either off the shelf or bespoke uniforms any kind of logo or image can be added for branding purposes. The company offers two types of embellishment, either embroidered or heat sealed. The latter is mainly used on outer wear. Both methods are done in house, with all the facilities for it on site. Also in the building is a work room for minor clothing alterations, which are either hand or machine sewn. Design is also taken care of in house. The company has Designer, Claire Conley, looking after this. She works with operators to ensure their desired uniform is realised. Products supplied by Uniform Express are all its own items, they are not another manufacturer’s brand. Ian noted this is unlike many other uniform providers on the market. Going directly to factories to get them to produce products ensures the company stays closely in control of the quality and the price of the clothes it supplies. It keeps large amounts of stock in its 24,000 square foot site, helping to ensure customers can log onto the website and order items with no minimum or maximum order requirement. It has up to £1.2m in store at any one time and is replenished on a daily basis. To further ensure it can meet all customer requirements, it even keeps a supply of more unusual sizes on its shelves, particularly larger ones. Around 70% to 80% of its business comes from supplying products off the shelf, which not only helps with delivery speeds, but also keeps costs for buyers down. If the desired product is not in stock, this does not mean the company is stuck. Ian gave the example of one large Scottish independent operator that put an order in for 50 bright blue blazers. The company got hold of some extra fabric and had the garments manufactured specially for them. A carrier service is used to get the products out to customers within its targeted time frame of 24 hours. A new paperless system has been introduced in the last year, which enables orders to be tracked. It says when they will be delivered and even the name of the driver delivering it. It can put together ‘man packs’, ensuring each staff member’s items are all kept in a single bundle for easy distribution across the workforce. What else sets Uniform Express apart is its IT system, which Ian describes as being unique, saying 99% of his customers use its fully managed online order portal. Customers create an account, filling in all their required details. It is designed to provide a faster way to order more clothing when required. The history of staff spends and any returns can be seen online. A points scheme can be set up, whereby each worker receives an allotment of points to spend on whatever uniform piece they require. Alterations to uniforms are done by hand. 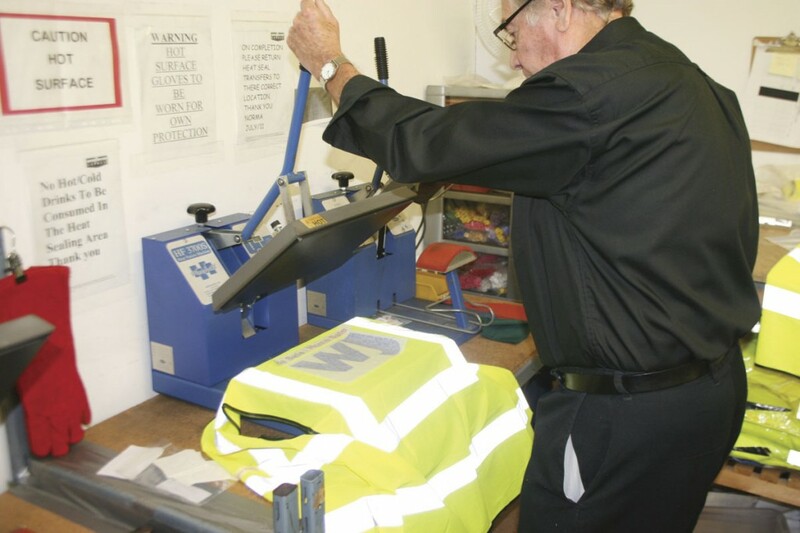 Most operators tend to order new and replacement workwear through the company every 12 to 18 months. Ian has noticed a general trend in the industry of changing any of the logos and/or the design of their uniform around every three to five years. Ensuring what staff wear is up to date and of a good quality is paramount to promoting a good image for the company, especially in customer facing roles. This is the case with operators of all sizes, large or small. As such, the company has the flexibility to provide to any size company. Although it has yet to provide to any of the ‘big five’, Ian still maintains his contacts with them. Reading was one of the biggest customers it has so far won in the transport sector and it hopes to gain contracts with other similarly sized operators, both municipals and independents. David said it was quite an unusual acquisition for Uniform Express, as most of his company’s past buy outs have been distress sales. This was not the case with this one though, it was being sold as a going concern and he described it as a ‘dreamboat’. The Work Clothing Group’s MD decided it was time to retire, to give himself more time to pursue his passion of sailing. Before setting sail though, he is to stay with Uniform Express for a year as part of a hand over process. The new products and customers taken on will be added into the business’s IT system. By December this year, the whole of the staff from the acquired company are due to move into the Banbury headquarters from their current office in Newbury.